There are many alternative and natural remedies or treatments to help you and your chronic or persistent pain and conditions such as CRPS, ME, Fibromyalgia, arthritis. One of those remedies are Deep Breathing Exercises. 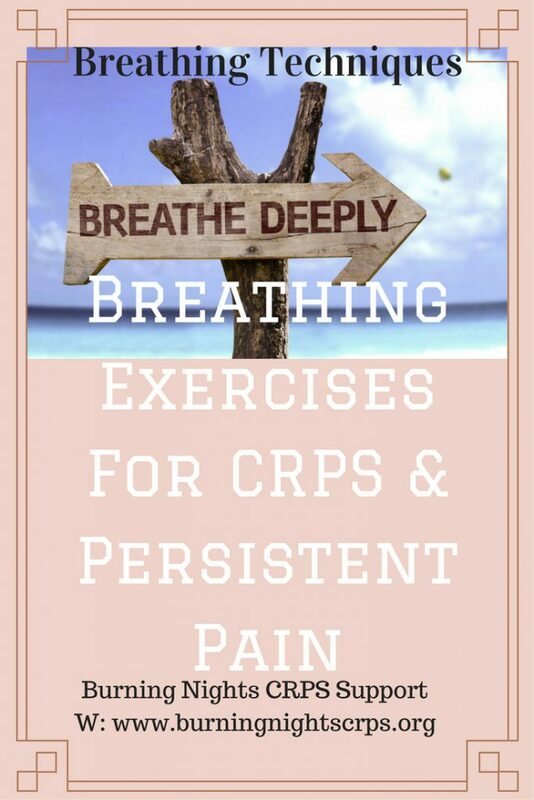 In this blog you will learn how to use deep breathing exercises to help you cope with you your CRPS or Persistent Pain. Although breathing exercises will not cure your chronic pain or CRPS, it could help get you through the day or help you with a flare up of your pain or symptoms. Breathing exercises are a good self management tool to have and to know. Why is breathing a good source of managing pain? The answer is that not only does it relax your mind, lessen stress and tension but it will also make you and your brain focus on something totally separate from your pain or flare up. When you are in a state of frustration, stress, tension or pain your mind and body and not in a sense of relaxation and this is what is the aim to change, so when you start to slow right down and begin to draw in some deep breaths, the brain and mind begin to slow down and to relax. This then gets a message sent from the brain to the rest of your body and soon after both the body and mind will become relaxed, your blood pressure will drop, your heart stops pounding and racing fast and your heavy fast breathing begins to calm down. Deep breathing stimulates your blood flow and can help bring more oxygen to your joints and muscles which can help you with your pain. The exercises outlined in this blog can be varied at any time to suit you, where you are or what you’re doing. When you do the breathing exercises if you feel dizzy or light-headed return your breathing to it’s normal rhythm. Why not add some gentle music, or light some softly scented candles, put out some fresh flowers or aromatherapy oils in an oil burner? By adding these sounds or smells it will all improve your breathing and help you to reduce the stress, tension and hopefully help your chronic pain or flare up. There are many exercises that can be used but whichever you decide please remember that learning deep breathing exercises will take a little practice and getting used to as it may feel unnatural, but stay with it to try and remove your attention away from your pain. You can repeat the breathing and tensing for as long as you are comfortable doing them not really longer than 10 minutes. Then begin to slow down your breathing. Breathe deeply, using your chest. If you find your mind wandering or you are distracted, then think of a word, such as the word “Relax,” and think it in time with your breathing. 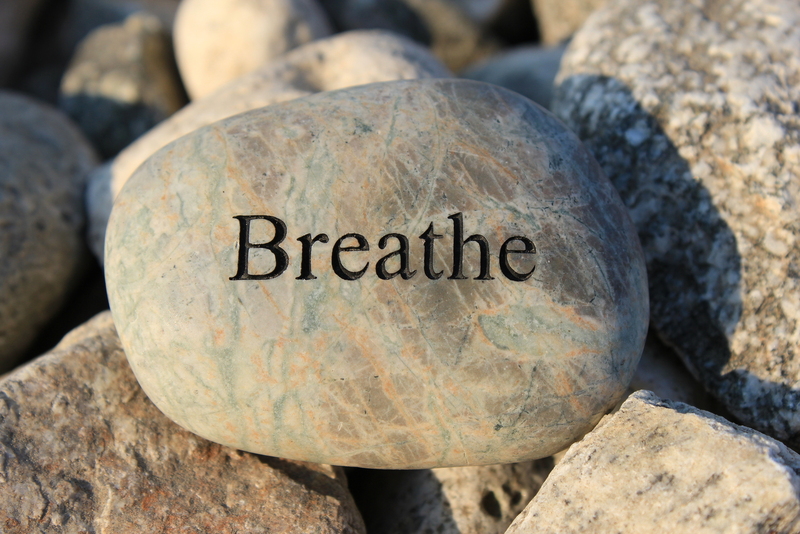 You can use the syllable “re” as you breathe in and “lax” as you breathe out. Once you feel your body and heart rate slowing down, you can then begin to use any imagery techniques you know. If not continue the deep controlled breathing for 5 minutes or until you feel calm and less stressed. In this self management blog you have hopefully learned how to use deep breathing exercises to help you cope with your CRPS or persistent pain. However there are many more exercises and techniques for CRPS / RSD and persistent pain available on the internet but please contact your pain management team, your GP or pain specialist BEFORE trying anything new or different to your current medical regime for your specific condition. Please do share our deep breathing exercises post on social media or on your blog. What are you favourite breathing techniques for CRPS and chronic pain? P.S. Why not take a look at our other blogs including our Quick Guide To Pacing For CRPS and Chronic Pain and 11 Coping Strategies For Your CRPS? Burning Nights CRPS Support is a registered charity. We are not doctors or specialists and therefore cannot make any diagnosis, provide treatment etc. You must speak to your doctor or healthcare professional about starting to do any exercises including breathing techniques. This help is not meant to replace your current treatment regime or medication. If in doubt please contact your doctor or pain specialist first. 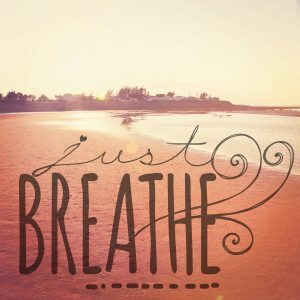 This is just a brilliant blog about deep breathing and the exercises that I can use to help me with my CRPS. I’m slowly going through each 1 of the series of alternative therapies of yours and I wanted to comment on this one. I found the exercises really easy to learn to fo and I’ve adapted them a little for myself. But another excellent resource thanks Birning Nights!